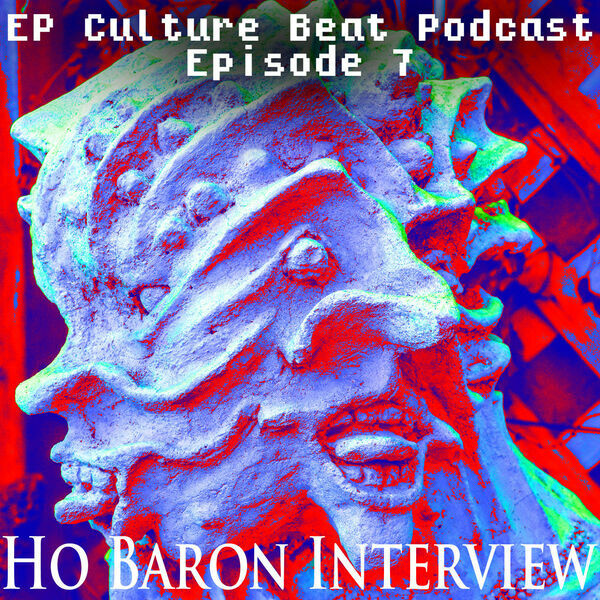 The latest episode of THE Underground Source of El Paso, TX features local artist HO BARON. He is a surrealist sculptor whose work is reminiscent of ancient art representations of gods and monsters. His work can be seen around town and all over his house’s front yard on Piedras street. In this interview we talk about his artistic journey and process and his current work. This episode was produced by M. De Santiago and G. Armendariz. Hosted by M. De Santiago. Intro / outro and background music by G. Armendariz. Cover art designed by G. Armendariz, photograph by M. De Santiago. RATED CHLL.